Why Do People Live in Ladd Park? Ladd Park is located just east of Interstate 65 off Peytonsville Road in Franklin TN in the picturesque rolling hills of Williamson County. In many way, this neighborhood is still in its infancy. Residents are attracted to the topography of the land and the easy access provided to I65. There are a variety of housing options available here; everything from small, one-levels to large executive-style homes. With the completion of Carothers Parkway, residents have an easy commute to the Cool Springs commercial area. What's the Ladd Park Neighborhood Like? There are approximately 450 homes in the Ladd Park neighborhood of Franklin TN. The first homes were built in 2007 by Ford Custom Classic Homes, Newmark Builders and Turnberry. However, construction continues today with Ford Custom Classic Homes, Goodall Homes, Hillside Homes, Signature Homes and The Jones Company. It is still several years from completion. Ladd Park has several sections including The Highlands, Carothers Cove and Enderly Pointe. Homes generally range between 1,800 to 5,000 square feet with amenities including hardwood floors, maple cabinets, granite counter tops and stainless steel appliances. Goodall Homes built a swimming pool in the Highlands section of Ladd Park back in 2013. Signatures Homes has agreed to build another pool in the Enderly Pointe section of Ladd Park. What Type of Activities are Offered Near Ladd Park? Now that the Carothers Parkway corridor is complete, residents have a short drive to the Cool Springs Galleria and retail district. There are a wide variety of eating and shopping venues. Historic Franklin is just a short drive where you will find lots of shopping, eateries and entertainment venues, including the Franklin Theatre which offers movies, live theatrical performances and music groups. With the development of Berry Farms, Ladd Park will be within minutes of retail shopping and eateries including a new Publix Grocery store. For serious golfers, the addition of The Grove Golf Course in College Grove will give residents the ability to take advantage of world-class golf. What Schools will Ladd Park Students Attend? Are New Construction Homes Available in Ladd Park? There are several new construction builders currently providing homes in Ladd Park; Ford Homes, Goodall Homes, Signature Homes and The Jones Company. All provide models with on-site agents. There are also a few custom builders interspersed throughout The Highlands section of Ladd Park. Be sure to use your own buyer's agent when purchasing Ladd Park new construction homes. Tammie White of Franklin Homes Realty LLC has represented several buyers in this neighborhood and has past experience in dealings with these builders. Let Us Help You Find Your Ladd Park Home. 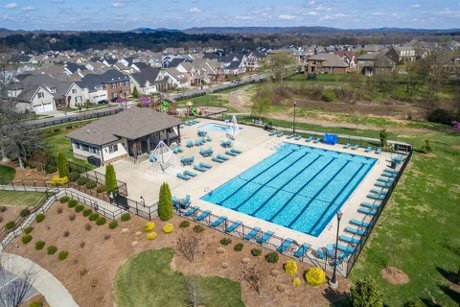 Below you will find a complete list of the Ladd Park homes for sale including Ladd Park new construction in Franklin TN. Buyers should remember to hire a Buyer's Agent, even when buying new construction. A Buyer's Agent will represent your interests during the transaction. The best part is the listing broker or builder pays your Buyer's Agent's fee. For further assistance or to schedule a showing, contact Tammie White today at (615) 495-0752.